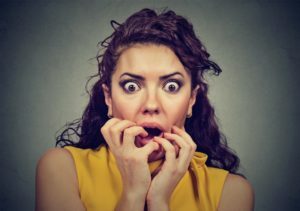 For our final installment on how to overcome dental fears, we take a look at the importance of communicating with your dentist. What does it accomplish, and how can it be used to provide a feeling of security and safety? These and other questions are answered by your dentist in Reno as you read along. By the end of this piece, you’ll be fully informed and ready to take control of your oral health through preventive care! Let’s take a look at what active communication entails. It involves an initiator (you talking to the dentist about any fears) and the receiver (the dentist listening intently). What arises out of these two points of interaction is a third point – understanding. That means that your dentist will be able to get an understanding of your point of view, and you will then be able to hear his or her response. Through this open channel of communication, a degree of comfort will be discovered. By talking to your dentist about your fears of dental care, the two of you can establish your own form of communication to use throughout the procedure. This will allow you to feel more protected and less confined. Put Your Thumbs to Work – A raised thumb can mean that everything is okay, while a thumb down can let your dentist know that you’re feeling uncomfortable and need a break. Raise the Hand – Another way you can communicate with your dentist is to raise your hand when you are feeling discomfort. By talking to the professional beforehand, you can feel secure in him or her understanding what you’re communicating. As we conclude our eighth installment on ways to overcome dental fears, it’s time to put it all together and initiate a new relationship with your Reno dentist. The greatest benefit of doing so is that it ensures that you won’t have to endure the more invasive forms of treatment needed to restore your oral health due to dental negligence. Furthermore, by maintaining consistent visits for preventive care, your overall health will be more improved. That’s because your mouth is considered to be the gateway to wellness for the rest of your body. Thus, by eating healthier, maintaining excellent oral hygiene and visiting your dentist semi-annually for check-ups, you’ll be adding years to your life and life to your years! A graduate of Boston University, Dr. Josh Branco has remained on the cutting edge throughout his career. He helps patients experience better oral health in a comfortable setting while using the latest technology – including Digital Smile Design – to reduce the amount of time they spend in-office and get the best results. Dr. Branco provides compassionate and expert care at Sage Dental Care, and he can be reached for more information through his website. Ready to Experience the Difference in Dental Care?